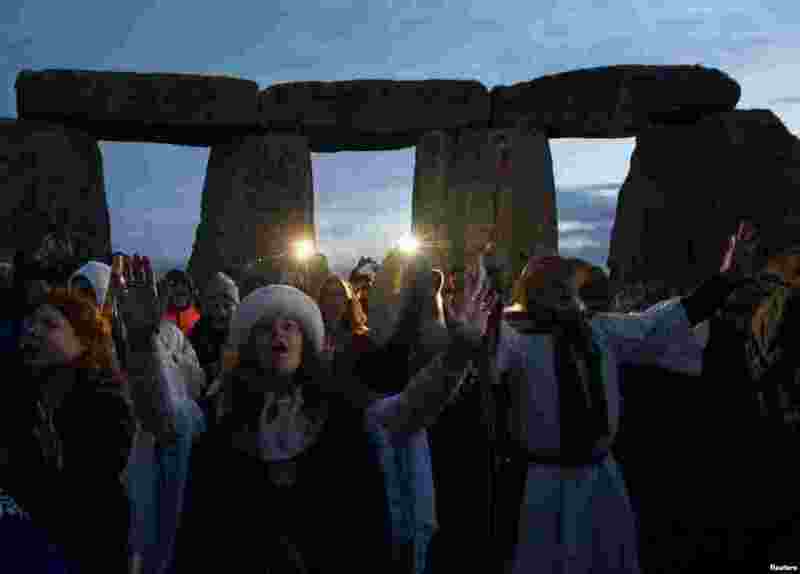 1 Visitors and revelers react at the prehistoric stones of the Stonehenge monument at dawn on Winter Solstice, the shortest day of the year, near Amesbury in south west Britain. 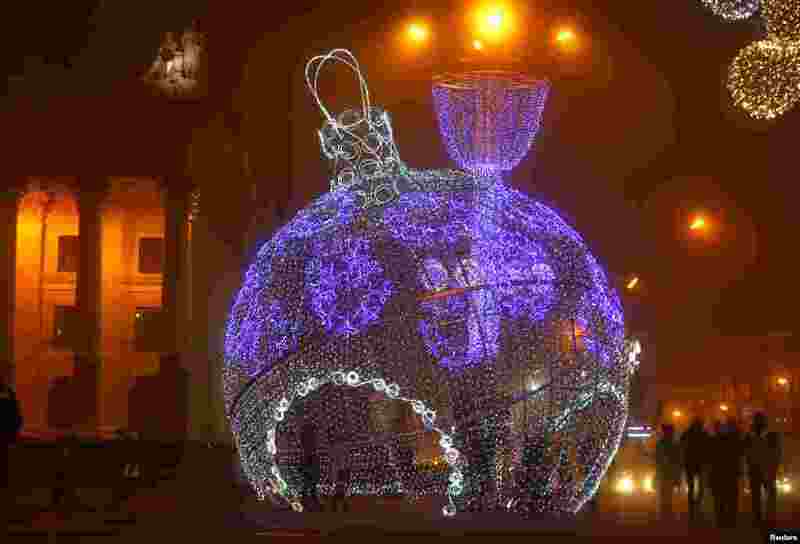 2 A giant illuminated Christmas ball is seen on Oktyabrskaya Square for the upcoming New Year and Christmas season in Minsk, Belarus. 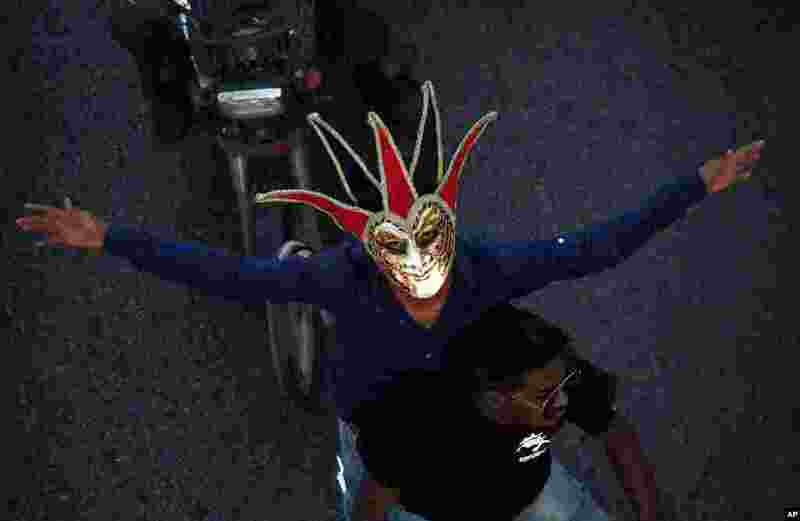 3 A Pakistani Christian wears mask during a Christmas celebration in Karachi. 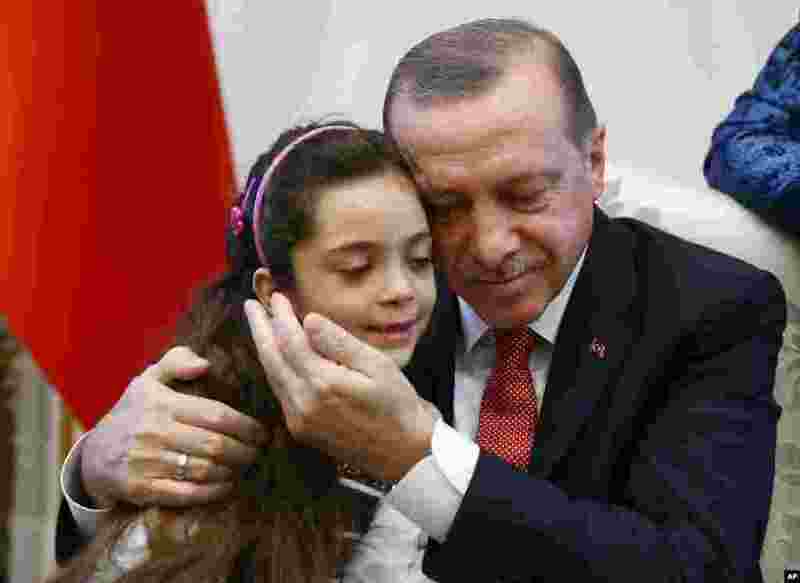 4 Turkey's President Recep Tayyip Erdogan, embraces Bana Al-Abed, 7, from Aleppo, Syria, at his Presidential Palace in Ankara. Tweets of life under siege in Aleppo by Bana went viral.